Large Baby Shower Honey Jar Favor- an edible Treat! 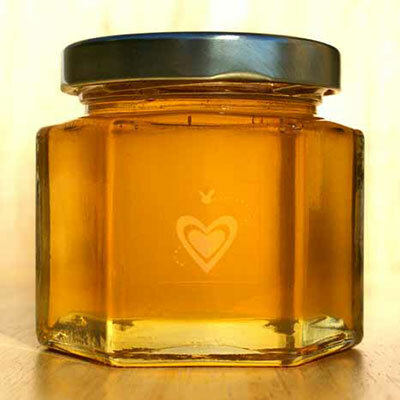 For even more sweetness in your baby shower favors, choose our large Baby Shower Honey Jar Favor containing 6 ounces of our delicious, 100% natural Spring Wildflower Honey. 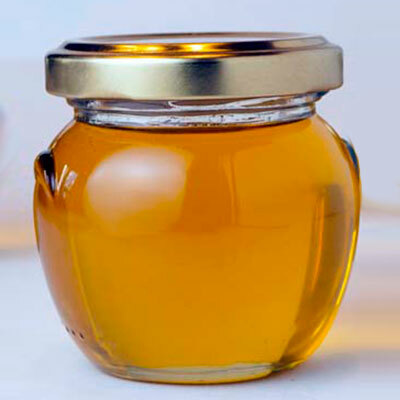 Wow your guests with a jar of NJ Fresh honey, a favor that perfectly matches a honeybee-themed baby shower, a Winnie the Pooh-themed baby shower, spring-themed baby shower or any baby shower theme. Edible baby shower favors delight party guests, especially when the favor is light, golden, and naturally-delectable. 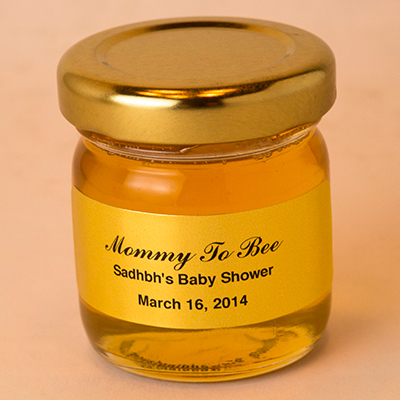 Plus, our 6oz Large Baby Shower Honey Jar Favor lends itself to a number of DIY baby shower favor ideas. 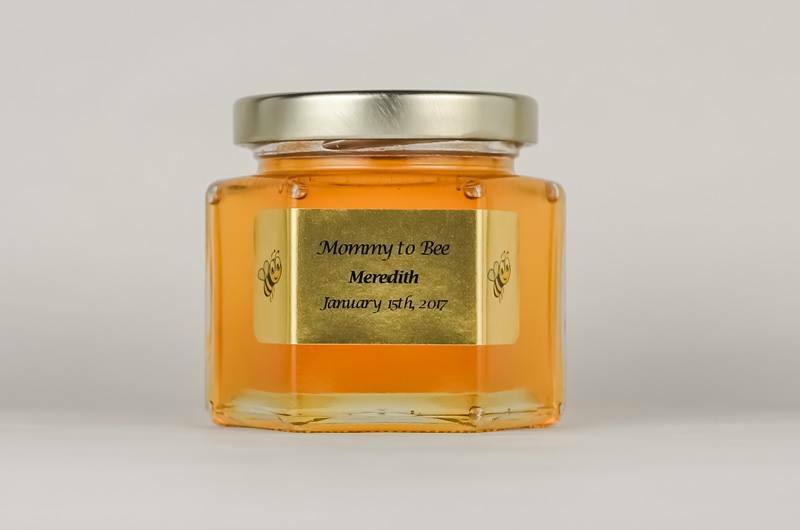 Add a DIY touch to your NJ honey favors with our Personalized Baby Shower Labels and our tied-on Old-Fashioned Wooden Honey Dippers will complete your DIY baby shower honey favors. Take a look at some of our DIY baby shower favors for inspiration. 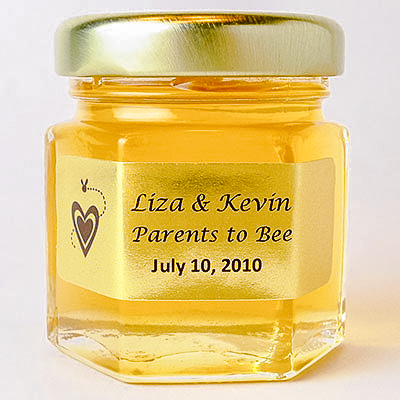 Place one at each guest place setting, or create an impressive and pretty display of ‘take one’ baby shower favors that gather our Large Baby Shower Honey Favors in a lovely presentation, perhaps placed next to a honey tea bar or honey-touched iced tea signature drink bar, a terrific trend at baby showers.